The best film franchises feature immense ups and downs – victories and defeats for beloved characters. For Batman V Superman: Dawn of Justice to carve out its own niche in the DC Extended Universe, it must similarly strike a tone that helps it stand out. From everything we’ve gleaned from the upcoming superhero melee, it's about to explore some dark, low points for the DC heroes.However, according to Oscar-winning screenwriter Chris Terrio, by the time the credits roll, things still won’t look great for the members of the Justice League. Batman v Superman is a bit of an Empire Strikes Back or Two Towers or any similar middle film in a trilogy. The middle film tends to be the darkest one. I do think from Man of Steel through Justice League, it is one saga really. Middle installments in a trilogy have historically gone to the darkest of places in evolving storylines. 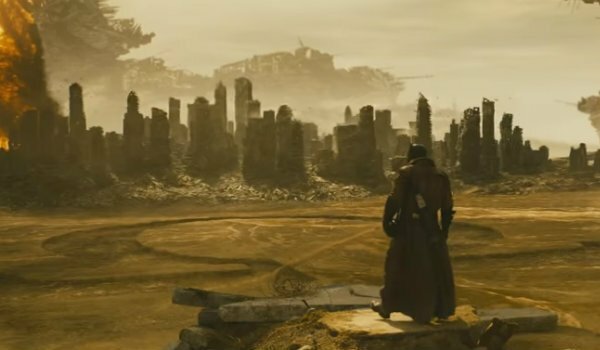 With that in mind, the comparison Terrio makes between Batman V Superman: Dawn of Justice, The Empire Strikes Back, and Lord of the Rings: The Two Towers also seems interesting because it could indicate that the villains in Batman V Superman may have the upper hand by the end of the film. After all, both Empire and Two Towers end with major defeats for our heroes, and the beloved characters scattered in the wind. 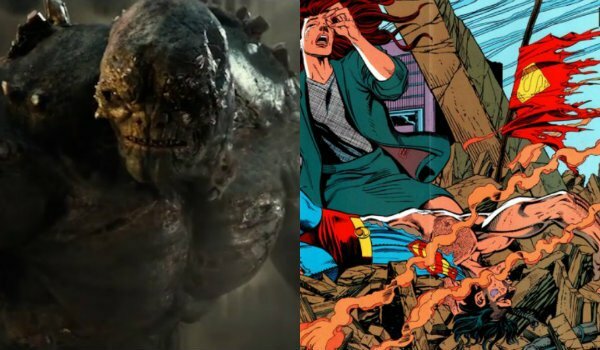 There’s a distinct possibility, in Batman v Superman: Dawn of Justice, that Lex Luthor’s plan to unleash Doomsday on Superman may very well work, and that we could see the iconic Death of Superman storyline play out during the film’s final act. Similar to the way in which Han Solo gets captured during the climax of The Empire Strikes Back and removed from the story (albeit temporarily), Batman V Superman may in fact show a Justice League standing together to face a new threat, but without the presence of the Man of Steel. Going into a lighter Justice League team-up film, the character could ultimately find Superman revived in some form or another to help take down that film's villain and cap off the trilogy. As long as there's no Ewoks, we're good with that. There’s a fair degree of evidence to back this theory up, too. Man of Steel introduced us to the DCEU by setting up Superman, but the next two DC films – Suicide Squad and Wonder Woman – more or less focus on the Batman and Wonder Woman corners of the universe, respectively. By using those films to further inform their characters, it could allow Bruce Wayne and Diana Prince to take on leadership roles in a Superman-less Justice League. Then again, the Justice League could band together by the end of Batman V Superman to take down Luthor, only to see a new, greater threat rise in his place. This could come in the form Batman’s Darkseid Knightmare becoming a reality, or even Lex/OS coming online in the form of Brainiac. Whatever the overarching threat may look like, it will be enough to bring together the gods of the DC universe for a two-part Justice League movie. What do you think of Chris Terrio’s quote? Do you think we’re onto something, or are we just grasping at straws? We will just have to wait and see how this all pans out when Batman V Superman: Dawn of Justice finally hits theaters on March 25.